With the 2011 Texas exam coming to end, we prepare to understand and review the 2014 NEC® and code changes. 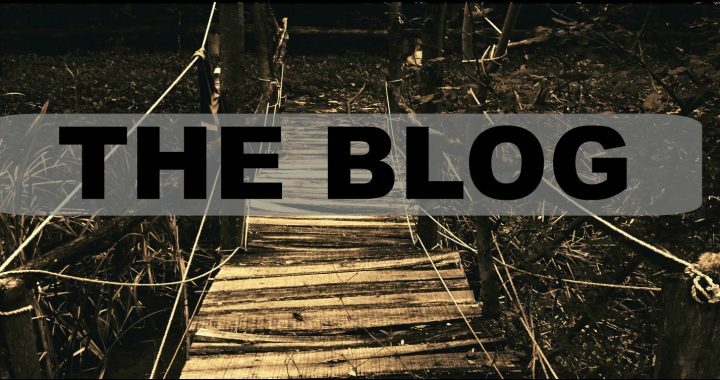 If you didn’t take the 2011 exam don’t worry, the exam is not vastly different….yet. It typically evolves over time in about (just an estimate here) 6 months. The exam from 2011 and the exam from 2014 if compared side-by-side will be night-and-day different. Keep in mind that although the exam content will be similar if not the same, the new book has a ton of adjustments and new codes. These new codes and articles apply to Chapters 1-9...yes all of it. If you haven’t already done so, you should take a few hours and go through your old book and the new book to locate the differences. Well, that is if you don’t have work and family and a LIFE. If you’re a nerd like me and you learn better in a classroom setting, I recommend you go through one of our seminars taught by Mitchell Tolbert. He travels round to all parts of ye old Texas, and some parts of Oklahoma but we don’t advertise that during football season…just saying. Keep your eyes open for our calendar, it is constantly updated. 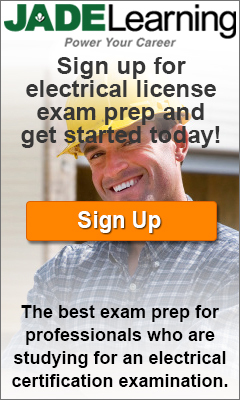 Seminars for the 2014 Texas Exam will begin late September/Early October. If you sign up over the phone (1-800-801-4085) you get a $15 discount, but you have to say the magic words…: “Your email /blog told me to ask for a discount!”. We have a ton more stuff I could sit here and write to you about but chances are you are probably looking for the "X" to close this tab so I’ll save it for another time or you can visit our website at www.TexasElectricalExam.com. Need resources? Help filling out forms? Want someone to rant to about TDLR? Just give us a call or send us an email. Legally we can’t do anything to change the system but we are “hear” for you. See what I did there? 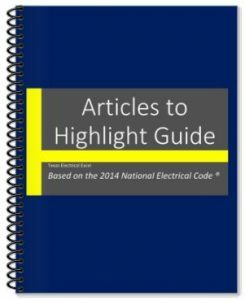 BREAKING NEWS: Get your softbound copy of the NEC 2014: National Electrical Code 2014/ NFPA 70 (National Fire Protection Associations National Electrical Code) for only $82.00 now through September 15th! Articles to Highlight Based on the 2014 NEC Budget friendly alternative to highlight the book you already own. 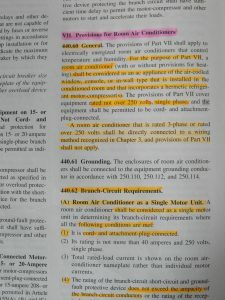 Highlight YOUR NEC Send us YOUR book and in 3 days you'll receive your book tabbed and highlighted. Study tips and practice questions completely free. Perfect if you are starting out and don't know where to start. 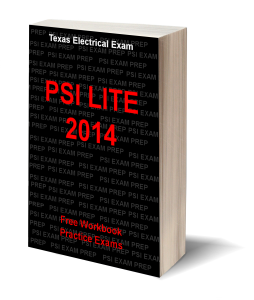 Posted in Contractors, Exam prep and tagged 2014 nec code change, code book for electricians, electrical exam, electrician bible, master electrician, new book, psi exam, texas journeyman exam. ← Styles of Learning- What is YOUR Style?